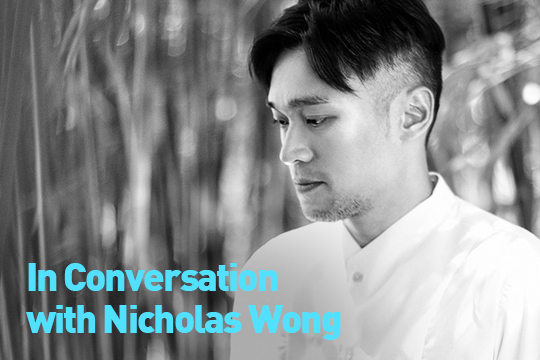 CN: You once said in another interview: “Homosexuality is more like the ‘genes’ of my work. It acts as a spirit of ‘subversion’ in the syntax and structure of my poems.” Would you please elaborate more on this “spirit of subversion” in relation to homosexuality? NW: I should have elaborated on it more. Look, the need for subversion is determined by the presence of a preceding structure or discourse. No one can ever demolish heteronormativity, but there’s no need to reaffirm and reinforce it. We need a more compassionate and intelligent world. We need to acknowledge diversity matters on all levels in Hong Kong. But as a poet, I am also concerned with how world poetry can be further expanded. After the Lammy win, I am grateful for all the media response and interviews in Hong Kong, but no American magazines or platforms have ever contacted me. NONE. What does this absence entail? To interpret it factually, I would say they are not as invested when a non-American takes away the award, and that the poems are considered less immediate to America today. The country is always a paradox to me. CN: Some of your poems reflect social issues (“Nono” and “Postcolonial Zoology” for instance), and, of course, you never refrain from political topics. What is the significance of society (or politics) for your poetry writing? NW: After Crevasse won the Lammy, I kept asking myself what I could do for Hong Kong. There’s been this overwhelming sense of social responsibility over me these couple of months. I am now more aware of how the personal aspect of my poetry can intersect with the social. I would have been a failure if I kept writing poems about gay love for the rest of my life. But no one seems to have explored how this gayness is informed by the current happenings in the city in English. This is what my newer works are about. I really enjoy the empowerment when I queer my family, my city, and its politics. CN: Three poems in Crevasse are explicitly titled “Self Portrait”, and reflections on self-identity are present in other poems, too. How does writing poetry contribute to your reflection on personal identity or the shaping of your selfhood? NW: The original title of the book was Self Split, but the editors at Kaya Press did not like it because it sounded too academic and too ’80s. True. But the spirit of it is that there are sides of me that are suppressed or even hidden in my everyday life. To be able to write creatively, these lives of me emerge unapologetically on paper. CN: I know you are a contributor to Asymptote: you’ve translated a poem by Wong Leung-wo and three poems by Eric Lui for us. When and how did you encounter Asymptote? Does translation (doing and reading) have any effect on your own creative writing? How does it influence you? NW: I can’t remember exactly when I got to know Asymptote, but I remember my engagement with it started with me as a reader. It is always pleasurable to read (for free) different voices and names I have not heard of. These people deserve to be heard! It wasn’t until a much later point when I realized I could have also contributed something. I don’t have any official training in translation, but what translating and reading translation have taught me is possibilities, by which I mean, for example, there are other ways of writing about a certain subject matter, or I can always renew my own list of favorite poets. CN: One commentator went so far as to say that you would be the baby of T.S. Eliot and Allen Ginsberg. There are also poems that respond to the writings of other poets, such as “Trio With Hsia Yü” and “Schuyler Haikus, 1954-58”, in this collection. Could you name a few poets who inspire you the most? What do you find most impressive about their works? NW: Really? That’s too much for me, honestly. Hsia Yü’s language always tears me apart. I have never encountered such a linguistic tornado with the Chinese language. I enjoy being guided by her words, confused then clarified, too. I feel that I am floating and sinking at the same time when I read her books, which, of course, are always amazingly designed and are great things to hold in your hands. As for Schuyler (and other Western poets whose language I borrow), I think what I can say is as a L2 English writer and user, I have more fun appropriating than “proper-ing.” I was writing a long poem about the Umbrella Movement that broke out in Hong Kong in 2014. I started with a line by Denise Levertov: “This is the year the old ones, the old great ones leave us alone on the road.” Forgive me for forgetting the line breaks. But when I look back at how the Movement was supported and sustained by mostly the younger generation, isn’t the poetic line also showing some potential to be reinvented to fit the political context of my poem? This also echoes your earlier question about subversion. CN: Winning the Lammy could be considered a milestone for your poetic career. What are you going to do next? Do you have any new project in mind? Or more generally, what would you like to achieve as an English poet from Hong Kong? NW: I already have a first draft of a new manuscript that explores the idea of home. Why can a home repel and beg you to stay, and how can it be foreign and familiar at the same time? It is a manuscript that is very Hong Kong; it has poems about local, Southeast Asian, migrant domestic workers who are mistreated, my re-imagination of my father’s past, and the current political anxiety borne by the city. I don’t think anyone can ever say what s/he wants to achieve as an English poet representing a certain place easily. After all, creative writing should not be outcome-based, so a career in creative writing shouldn’t be, either. All I can say, humbly for now, is that I am creating a possibility for Hong Kong literature and Asian (gay) poetry by swimming in pool of oddities. 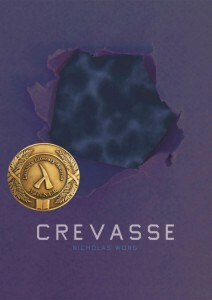 Nicholas Wong is the author of Crevasse (Kaya Press), winner of the 28th Lambda Literary Award in Gay Poetry. His poems have recently appeared in Copper Nickel, diode, the Massachusetts Review, the Missouri Review Online, and Iron Horse Literary Review. A real Asian poet, he lives in Hong Kong, where he serves as an assistant poetry editor for Drunken Boat.